What gets you out of bed in the morning? If your only answer to that question is: ‘My alarm clock,’ then firstly, that’s detention, and secondly: where is your sense of purpose? Spiritual teacher Rob Bell explains how his discovery of Ikigai—a Japanese life philosophy—crystilized a problem he was seeing too often, in most people he met. In your late teens or early twenties, you typically land on a path that you follow for the rest of your life. You picked a degree and now you’re stuck. You made a decision and now it seems too late to choose again. That can lead us to a deeply unsatisfying place, where today is just a repeat of yesterday. Ikigai contains “this really interesting idea, that when you no longer have something that gets you out of bed in the morning, then you’re kind of dead, even if you’re still alive,” says Bell. Your reason for being should shift many times over the course of your life, and looking at your life as containing many seasons— rather than one long stretch—can be a better way to frame and find fulfillment. Ikigai asks four key questions, at the center of which you can find your purpose: 1) What do you love? 2) What are you good at? 3) What does the world need from you? 4) What can you get paid for? 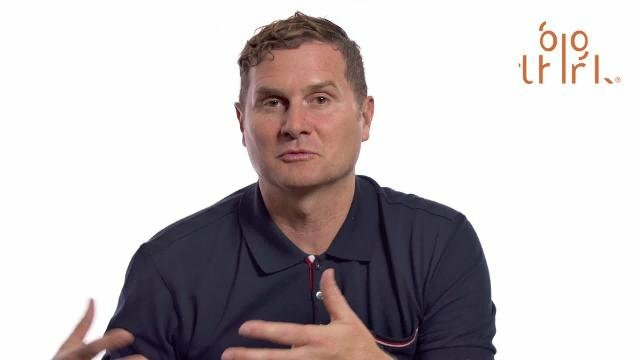 Rob Bell is the author of What Is the Bible? : How an Ancient Library of Poems, Letters, and Stories Can Transform the Way You Think and Feel About Everything.